Count on Buffalo Towing Services to be right there for your Niagara Towing needs. Niagara County area has many tourists as well as locals and we feel they all should be treated equally. Wheather, you live here or just play here we are a fair towing company. We are, Located in Buffalo, NY, we are just a hop and skip away. Expect a Quick reliable tow truck service with a smile. As an established towing business, we can help you with keys locked in the car service, this service is great for those times when the door shut just a bit too fast. Having a flat tire can be a bummer, we offer flat tire repair and changes. So, did your car just up and die and the check engine light came on? We might be able to assist. Cars can be a bit fussy these days. We pride ourselves on our Niagara Towing abilities. Offering the best in customer service and affordable rates. We go above and beyond all of our competition to always perform the best services. We provide full service towing which included accident clean up, car removal, car door unlocks, flat tire assistance dead car battery jump starts, fuel deliveries. The next time you’re looking for roadside assistance in Niagara, NY give us a Call at 716-324-1023. 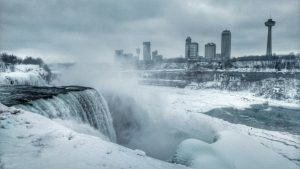 Our Niagara Towing Services In Niagara Falls NY is a top rated company and we take pride in our Towing Services that we provide to all of our customers no matter where you are and no matter what time it may be. So, if you are in need of Niagara Towing Services is always there to help so give us a call and give us a chance to show you how we can assist you.